A huge hello and a graceful Assalamu Alaykum from Ibn Zubayr. It has been a lovely final spring term in Ibn Zubayr, take a look at what we have been doing! 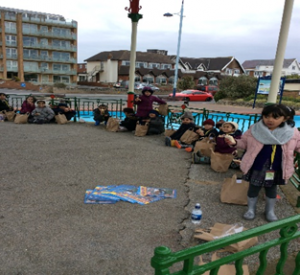 This term our children been learning about our community and have had a focus on ‘people who help us’. The children got to familiarise themselves with different agencies we have available to us like the fire service and doctors and nurses and got to learn about what they do in depth. 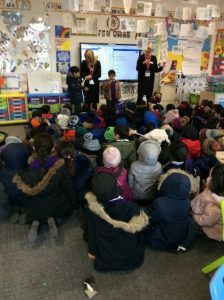 We used all the exciting information and did a range of fantastic writing activities, including instruction writing, recounts and also innovated story writing. 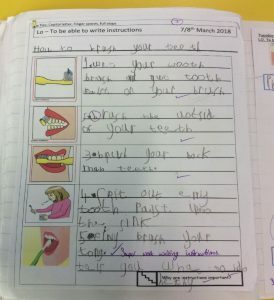 This is Faaris’s piece of work on instructional writing! 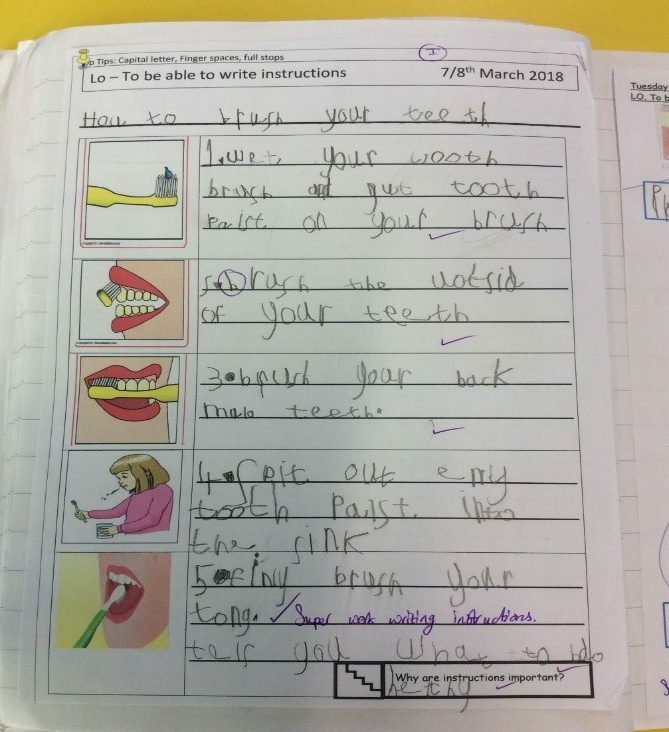 He has used all the Top Tips! 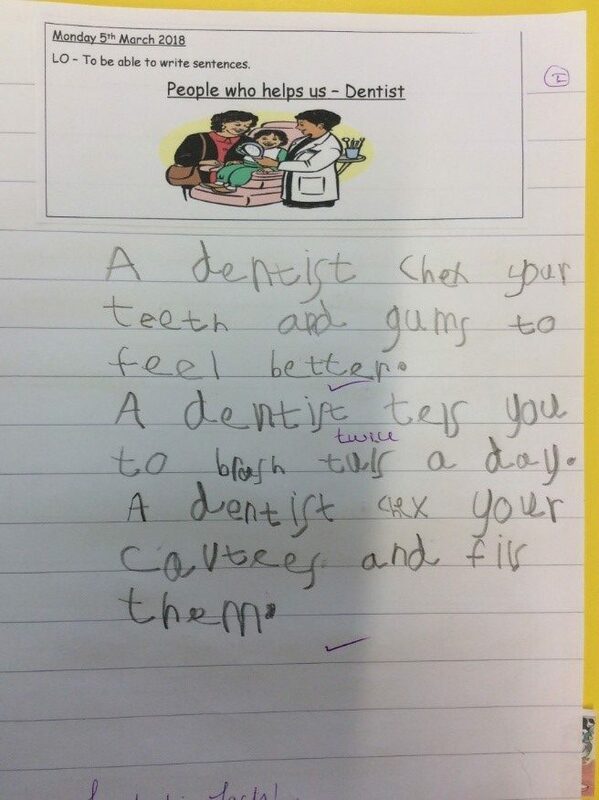 We also did some work on the role of a doctor and read the story ‘Topsy goes to the doctor’. From this the children innovated the story to create a character who had a different illness and wrote their very own story. 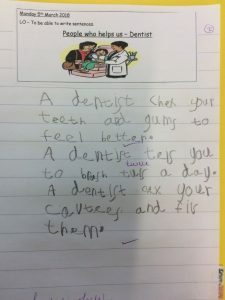 Here is some fantastic writing produced on an innovated story! After learning all about doctors we got various visitors to talk about what they do and how they help our community. Here you can see a dentist and police officer talking to the children about how they contribute. 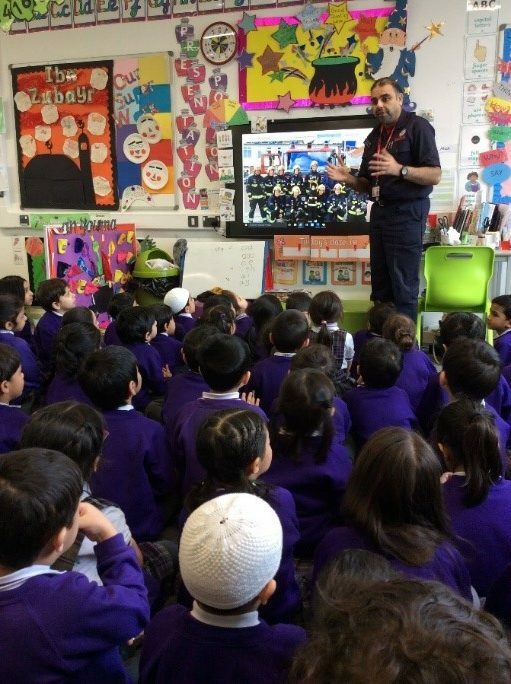 The children also got to learn some vital information on how to keep their teeth healthy and how to keep safe when they are out. 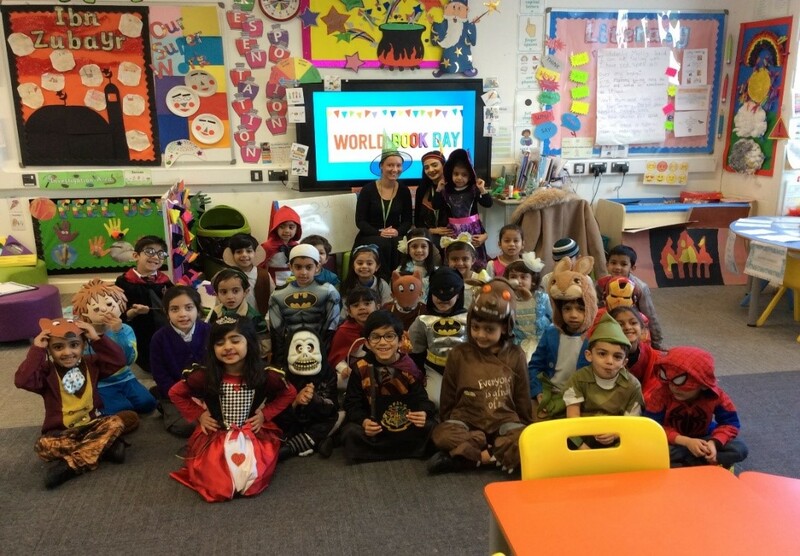 This term we celebrated World Book Day, and as it was Roald Dahl’s 100th birthday we took a look at various stories from the author and particularly enjoyed the story of ‘The Enormous Crocodile’. 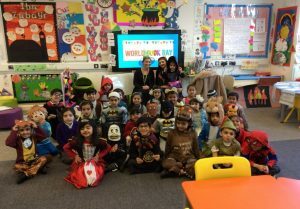 Our children also came dressed as their favourite Roald Dahl character and they had a fun time sharing their experiences of their favourite books throughout the day. 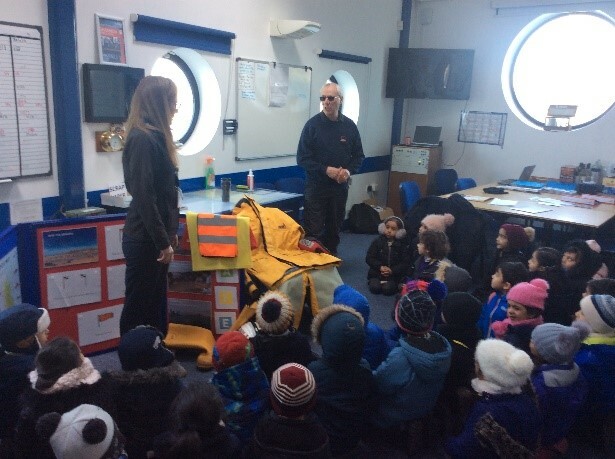 As well as experiencing visits in school from different services that help in our community, the children got to visit two different types of agencies that also contribute to helping the public. In our final week, we went to visit the lifeboat centre in Lytham St Annes where the children got to learn about safety at sea. 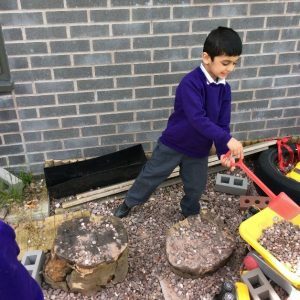 Our children really enjoy learning through play in our CP areas both indoors and outdoors. 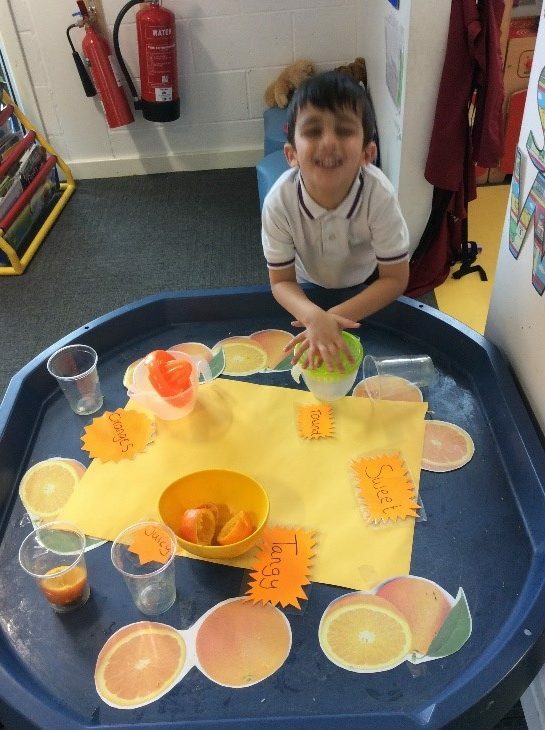 We have Sahal Ibraheem making some fresh orange juice in our small world area! 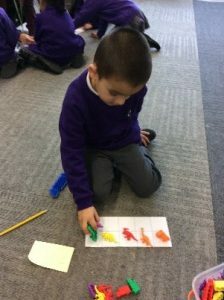 Muhammad Zain is making pictures using 2d shape in our Maths area! 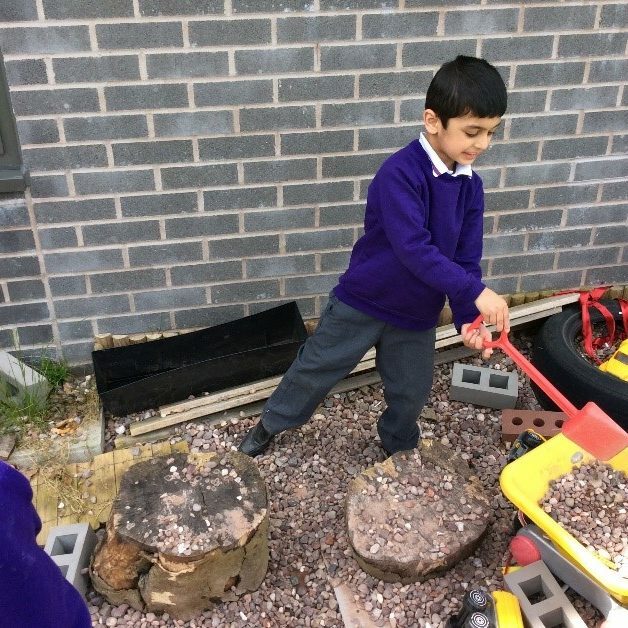 Hamza is doing a great job at shovelling and building in our construction area!